Free and open to the public. Seating is available first-come, first-served. 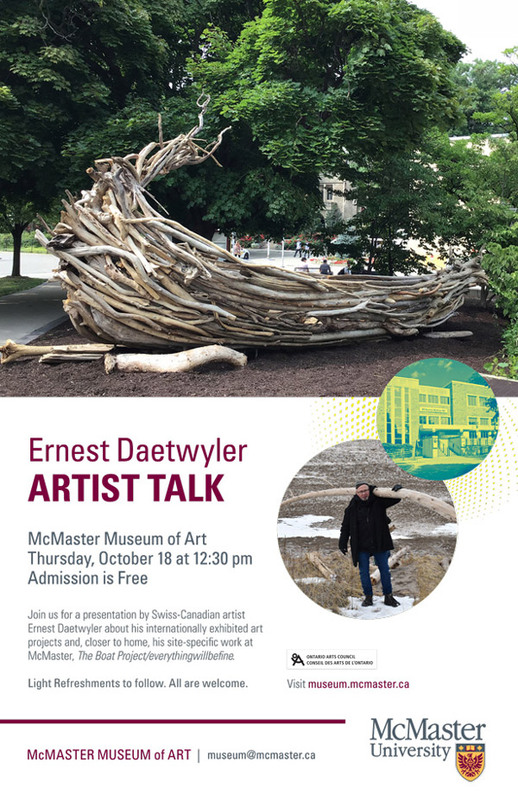 Find out more about the Swiss-Canadian artist and his impressive practice, including a discussion about his new installation at McMaster, The Boat Project/everythingwillbefine.